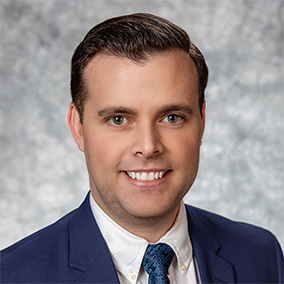 Las Vegas rose to the top of the leaderboard for rent growth in 3rd quarter 2018, a performance bolstered by strong growth across all product tiers. Apartment rents in Las Vegas rose 6.7% in the past year, placing the market ahead of last quarter’s leader, Orlando, by 10 basis points (bps). 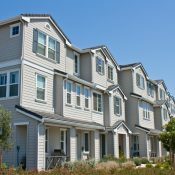 Phoenix (6.3%), Jacksonville (5.7%), Tampa (4.9%) and San Jose (4.9%) rounded out the top six for annual rent growth in 3rd quarter. 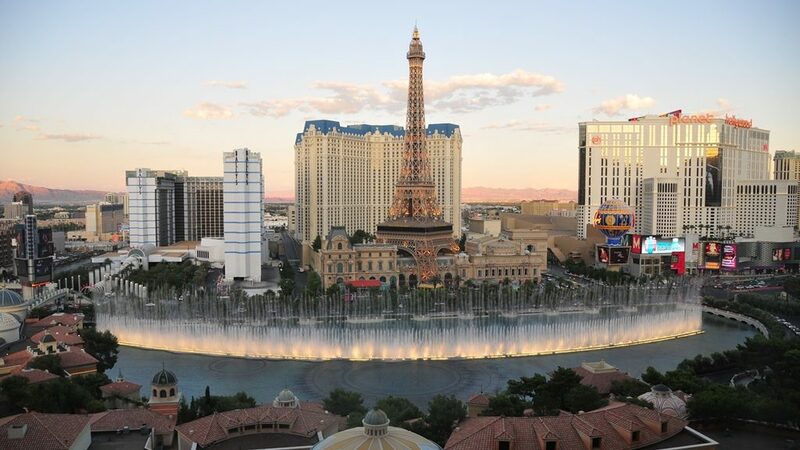 Remarkably, recent growth in Las Vegas hasn’t been confined to a single class. All three segments in Las Vegas – Class A, Class B and Class C – saw rent growth between 6.2% and 6.9% this quarter, which is one of the tightest ranges in the country. This range of performance among product lines has narrowed over the past two years, with accelerating momentum among Class C product, steady increases in middle-tier units and moderating performance in Class A apartments. Multiple factors drove these trends. Solid job growth across a variety of industries is fueling demand across the price spectrum. Recent momentum in Class C units, traditionally an underperforming segment, has allowed this lower-tier product group to recoup ground lost during the recession. 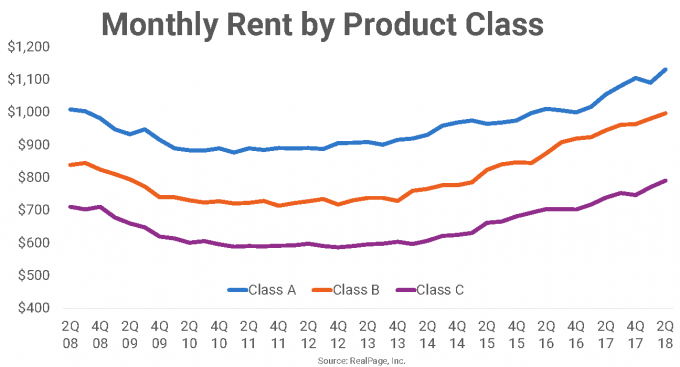 Class C product has been slow to recover during this cycle, but recent improvement brought rents back in line with pre-recession levels. 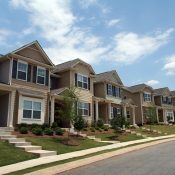 Class C units have also logged rent growth around 5% to 6% annually in each of the past five quarters. 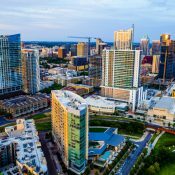 At the same time, Class A performance has normalized over the past six quarters as annual completion volumes have risen – particularly in a handful of high-performing submarkets in the south and west sides of the market. 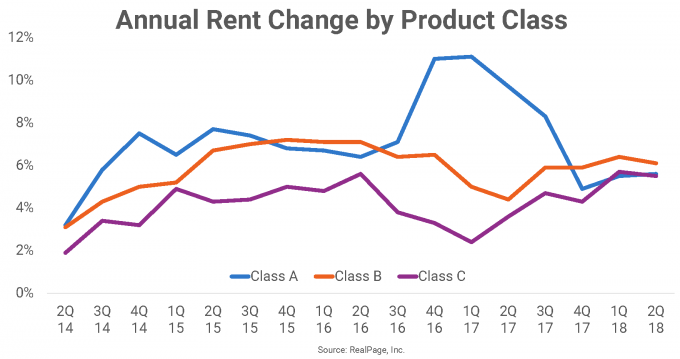 At the market level, Class A rent growth reached double digits as recently as 1st quarter 2017, but has eased to around 5.5% to 6% in each of the past four quarters. Class B performance has held relatively steady over the past four years. With these trends, the lines between Vegas’ different product classes have somewhat blurred. 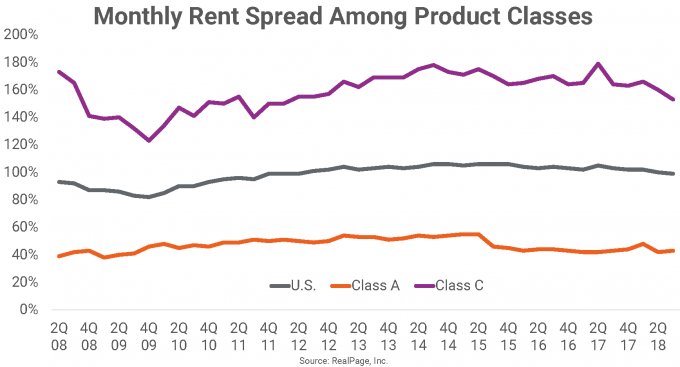 While the difference in rent levels between product groups may seem substantial at 43%, it is actually the smallest spread among major U.S. markets. The spread between Class A and C rents in places like Boston or New York have regularly surpassed 150% in recent years. In Las Vegas, this equates to a difference of $340 in monthly rent to move from a Class C unit into a Class A unit. This tight spread is due largely to the relatively affordable Class A product in Las Vegas. Indeed, Las Vegas has the second least expensive Class A product among major U.S. markets, coming in behind only Greensboro/Winston-Salem. Class A product in Las Vegas is so affordable due in part to a relative lack of building in recent years. In terms of Class C rents, Las Vegas ranks 13th from the bottom in major U.S. markets. While net inventory growth has been steady in recent quarters, new supply in Las Vegas has remained modest to moderate in the years where most of the rest of the country experienced unprecedented building activity. Since 2012, net inventory growth in Las Vegas has remained at or below 1%. This is much lower than the elevated growth seen in other key metros such as Dallas, Atlanta or Denver. Year-over-year inventory growth has consistently been about 70 bps behind the national average for the past five years. The largest upswing in supply in Las Vegas took place prior to this cycle in the mid-to-late 2000s. IT'S FREE! 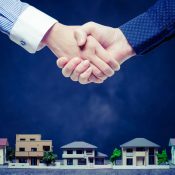 Become a member to get exclusive access to the latest apartment market intelligence and trends.